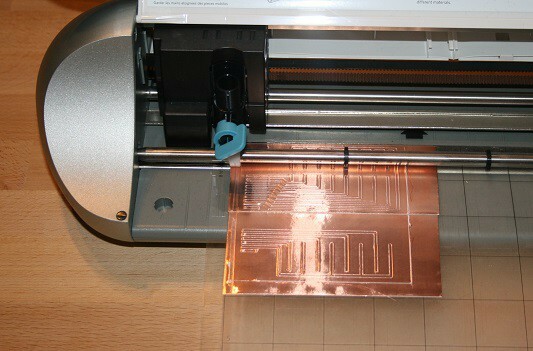 The author uses a cut plotter to cut out the circuit lines from copper tape, and then transfers that to the board to use. This entry was posted in Misc-Life. Bookmark the permalink.